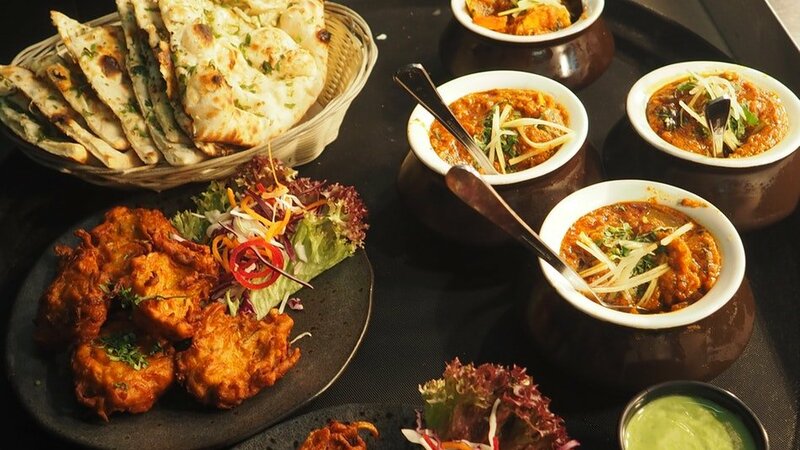 If you are a fan of Indian cuisine, you must know this: Indian cooking can be spicy but it tastes delicious. Instead of ordering takeout every other day, it’s a much better idea to learn a few recipes for your favorite dishes and perfect them at home. 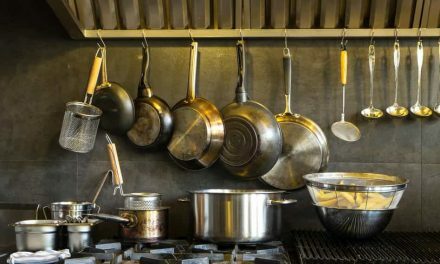 To help you choose the best non-stick cookware for Indian cooking, I’ve compiled some features you should watch out for so that you can make the best choice. Something to remember when you are dealing with Indian cooking is that a majority of the items are either slow simmering curries or one-pot rice recipes. Whether it’s butter chicken, chicken tikka masala, chicken pilaf or biryani, you will definitely need a pan that is adequately deep and wide. Another thing you should look out for is that the non-stick cookware you choose for Indian cooking should come with a lid. Most Indian recipes use braising as a technique and it would be impossible to create that perfect curry without a lid! One last feature you need to watch out for is that the brand of your cookware for Indian cooking should be reliable and known to be durable. Indian cuisine uses acidic ingredients such as tomato paste and yogurt which can wear out the nonstick layer on a low-quality pan if simmered for long periods of time. 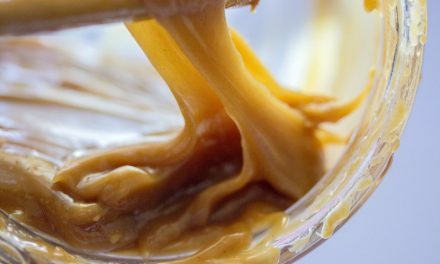 These ingredients also have a higher chance of reacting with utensils so it would be much safer to use a nonstick pan of higher quality to prevent any reaction with the material that might peel off during cooking. Here are some of the best reviewed non-stick cookware options for Indian cooking. This stylish 11-inch stir fry pan comes in a sleek gray base with agave blue handles. The accompanying lid makes it a perfect choice for braising curries or making one-pot rice recipes. The hard-anodized aluminum ensures fast heat up and even heating throughout, giving you great temperature control over your food. The PFOA-free nonstick layer makes cooking easy and safe and the cleanup is simple too. You can even pop it in the dishwasher since it’s dishwasher safe. The handles are dual riveted for durability and are comfortable to hold. The lid is made of shatter-resistant glass with wide stainless-steel rims. Since it is oven safe up to 400 degrees Fahrenheit, you can start your meal on the stovetop and finish it off in the oven without a hassle. Although it cannot be used on induction stovetops, it can be safely used on all other types of stovetops. The Rachael Ray Hard Anodized non-stick pan comes with a limited lifetime warranty so you can be sure it will last you a long time. The Pottella Deep Square Copper Pan is one of the best choices for nonstick cookware for Indian cooking and other world cuisines. 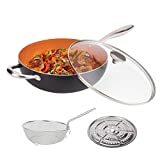 The pan is beautifully designed and is completely multipurpose allowing you to use it as a baking dish, roasting pan, rice cooker, steamer, wok, and stock pot. The lid allows it to be used as a slow braiser as well. The non-stick surface not only provides easy food release but also makes cleanup a breeze. You can stick it in the dishwasher to save time as well. You can use the Pottella pan to cook food without any oil or butter, but if you’re making Indian food, you might want to use some to enhance the flavor of the recipe. You can use the pan in the oven as it’s heat resistant up to 800 degrees Fahrenheit! The Pottella has a 5-layer construction with an aluminum core for even heating, a stainless steel base for heat retention and two layers of non-stick coating: the first ceramic layer and the outer layer of high-temperature exterior coating. It comes with a tempered glass lid so you can see exactly how your food is turning out during the cooking process. It also comes with some handy accessories such as a fry basket, steamer rack and a recipe book with recipes from international cuisines. 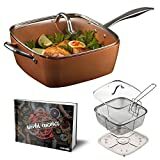 ALL-IN-ONE MULTI-PURPOSE COOKWARE - The Michelangelo 28cm nonstick woks and stir frying pans set is everything you need to prepare delicious stir-fry, steaming, roasting, boiling, baking meals and more. The non stick ceramic wok with lid set can be used as deep fry pan, saute pan, deep skillet, frying wok, stir fry wok, stir fry pan, baking dish, roasting pan, rice cooker, steamer and deep stockpot. This nonstick copper wok pan is a must-have to release your inner chef and cook like a Pro! ULTRA NON STICK COATING SCRATCH RESISTANT - The superior ceramic & titanium interior is ultra non stick and scratch resistant that enhances both durability and cooking performance. Food slides right off on the truly nonstick surface for optimum cooking. Ideal for use over low to medium heat with minimum oil or butter for healthy diet. Cleans up easily, dishwasher safe (hand wash is recommended), & oven safe Oven safe to 400F. 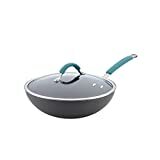 HEATS QUICKLY & EVENLY - The nonstick woks and stir frying pans is made of professional grade aluminum alloy that conducts heat quickly and evenly with precise temperature control and no hot spot. Food stir fries quickly and evenly across the surface of the induction wok and slips onto the plate once ready. 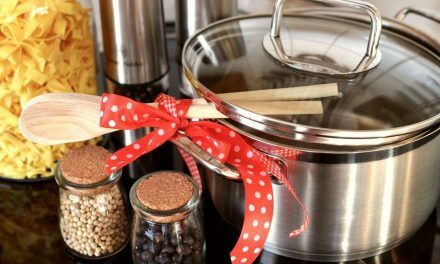 Designed with a long stainless steel handle and a helper handle, stays cool to touch when cooking, easy to grip, provide extra support and balance when lifting and pour. TOXIC FREE & INDUNCTION COMPATIBLE - PTFA, PFOA, lead and cadmium free, ideal for healthy cooking. Choose Michelangelo Ceramic Non Stick Wok Set for greener and safer cookware. The deep frying pan is made with a flat bottom which allows it to be placed evenly over heat source and suitable for use on all stove tops including induction, glass & gas. The Michelangelo Non-Stick Wok Pan is a 5-quart pan with a flat bottom that allows you to make delicious meals in a healthy and convenient way. It’s free from PTFA, PFOA, lead and cadmium, which gives you peace of mind while cooking for yourself or your loved ones. It can be used in a variety of different cooking techniques required of the best non-stick cookware for Indian cooking. 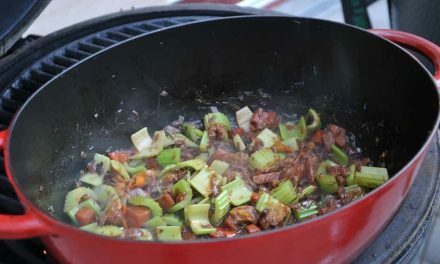 You can use it to stir-fry, steam, roast, boil, sauté, cook rice or braise your meals. It’s safe to use in the oven so you can start off your meals on the stove and finish them in the oven. The interior is ceramic and titanium which is non-stick as well as scratch resistant. You can be sure this pan will give you years of delicious and convenient cooking. Even though manual cleaning is easy due to the non-stick surface of the pan, it can easily be cleaned in the dishwasher as well. Although the core is made of aluminum for quick and even heat distribution, the handle is made of stainless steel that stays cool to the touch while cooking and is easy to grip. You can slide your meal right off the surface and into your plate. The wok comes with a heat and shatterproof glass lid, a deep-frying basket and a roasting and steaming rack. The size is ideal for everyday family meals. Although all three of the above-mentioned pans would be one of the best options for nonstick cookware for Indian cooking, the choice ultimately comes down to your own personal style and needs. When venturing into occasional Indian cooking, any of these single pans can serve the purpose but if you really get into mastering the art of Indian cuisine, you might have to eventually invest into other items such as a flat pan for rotis or a handi for an authentic feel to your curries. Happy cooking and do let us know which pan is your number one choice and why in the comments below!